I had seen this old church, St. Mary's Episcopal Church and Cemetery, Saint Francisville, LA, from highway 66 (the Angola Road) several times, but had never actually been inside the private property to visit it. Ever since I saw it for the first time I wanted to go there and do some pictures there. Lucky for me, the day finally came! 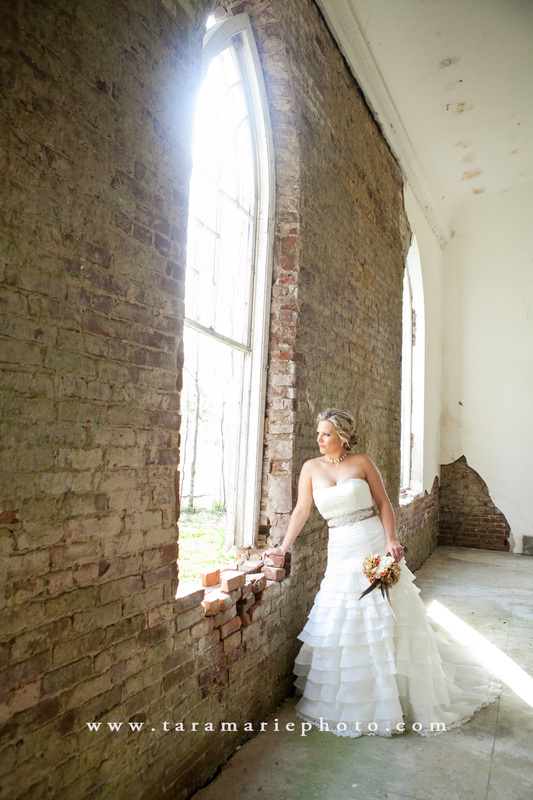 Heather had some connections to the church and rented the facility for her bridal portraits. 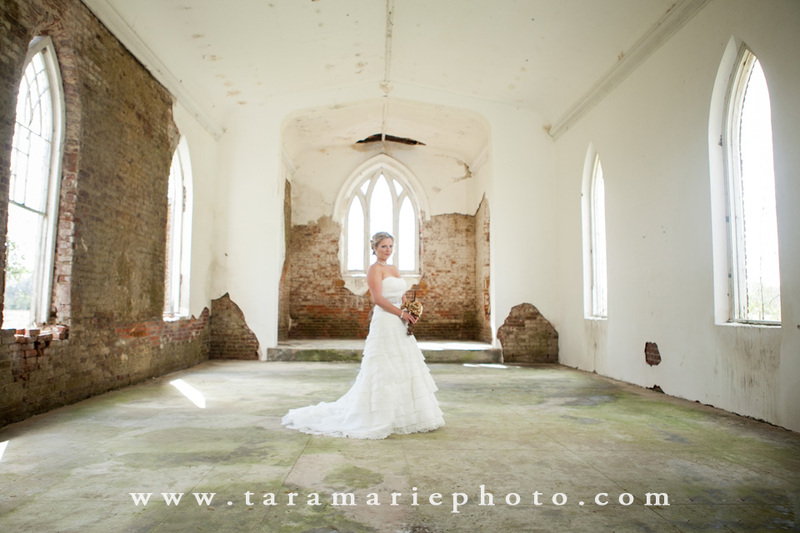 It turns out that anyone can rent it for small weddings or bridal portraits. 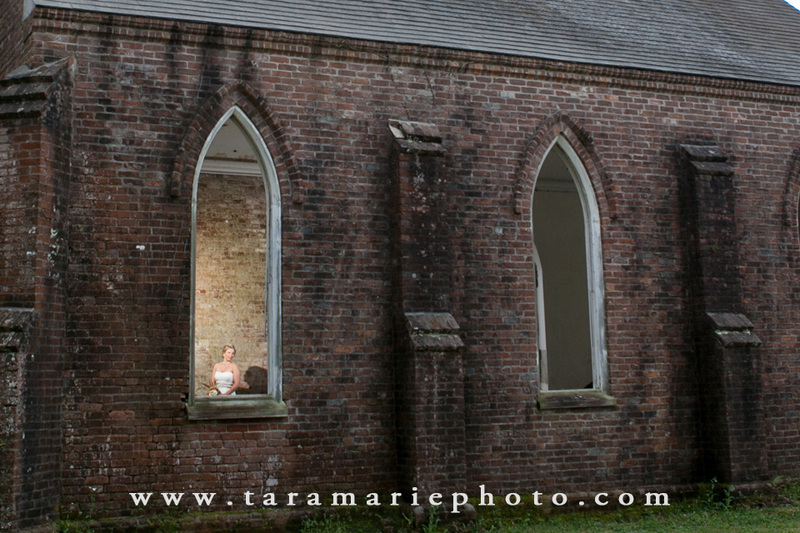 I hope to do more bridal portraits at this old church, because it is a beautiful thing. It is not at this time completely covered from the elements, and the windows are nonexistent. Here is the church's facebook page. 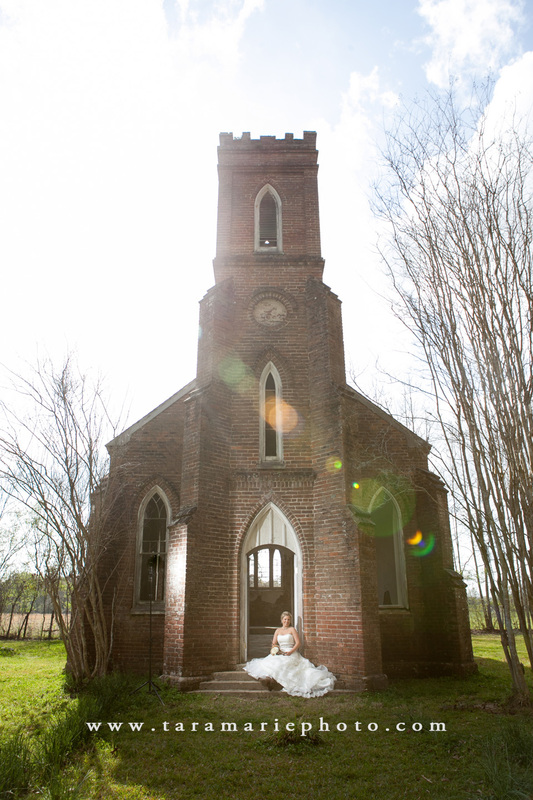 St. Mary's Episcopal Church was built in 1857 and is one of the few remaining rural antebellum chapels in Louisiana. 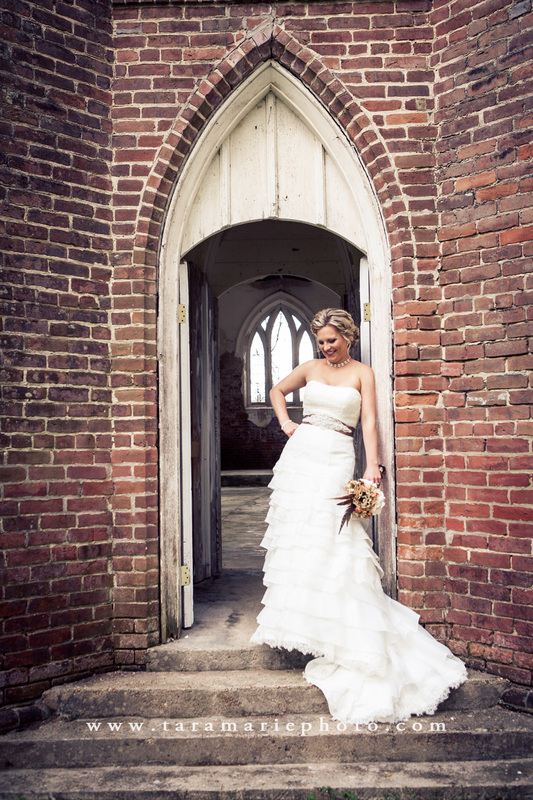 Heather was not the typical bride who is very afraid to get her dress dirty. She was pretty much up for anything. 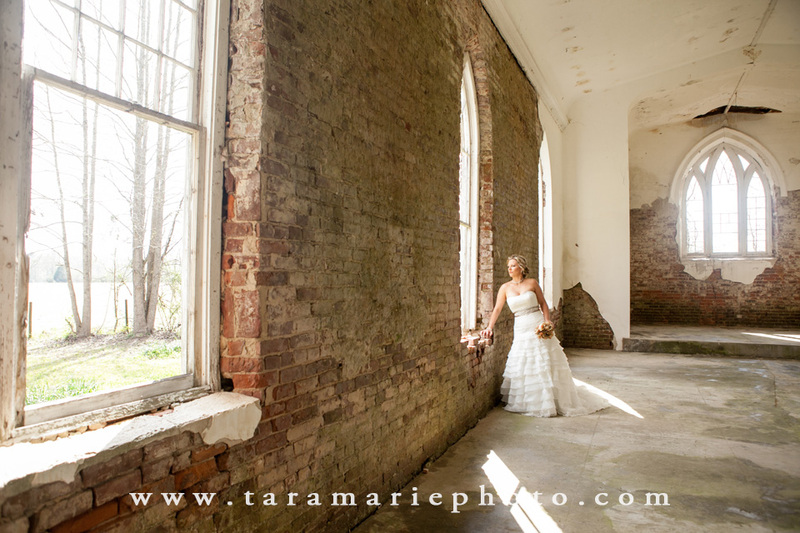 This old church helped me as a photographer because the broken and busted windows provided lots of natural light without the color tint of stained glass. We did the photo shoot in the early afternoon. Usually I prefer to photograph bridals in the later afternoon so I can use the sweet light of sunset, but since we were doing many of these bridals indoors, the mid-day bright light was what I wanted to utilize. 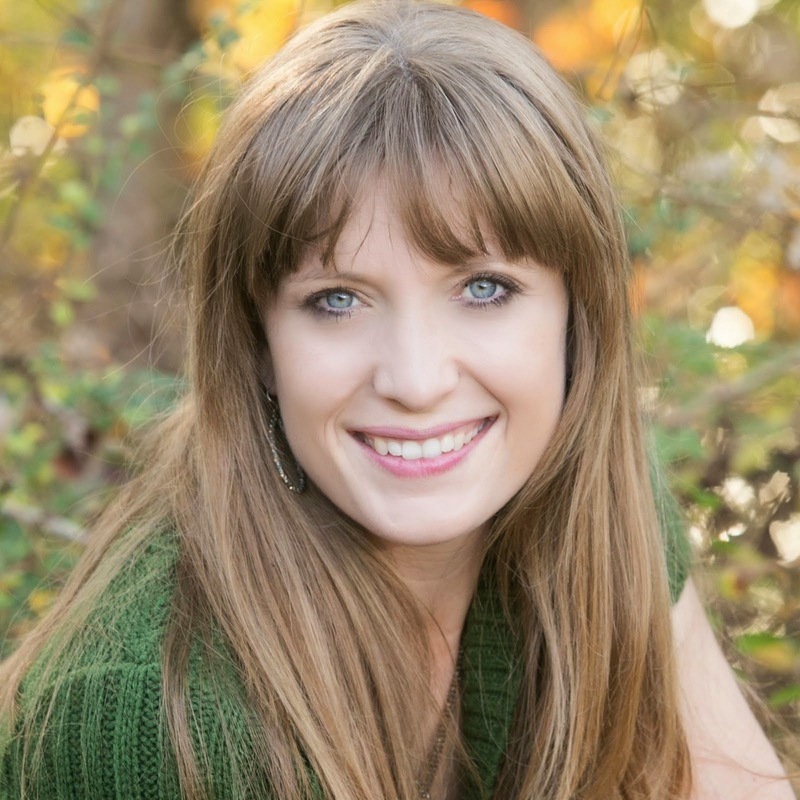 That is one of the tips I give in the beginner's photography workshop- if you are doing indoor photographs, the best time for using natural light indoors is mid-day. Have you ever noticed how bright your house is during the mid-day? It works well for pictures.